One of the things I do to support the Barksdale AFB Global Airpower Museum is based on something I learned to do back before I started my days at Lee Junior High School in 1960. 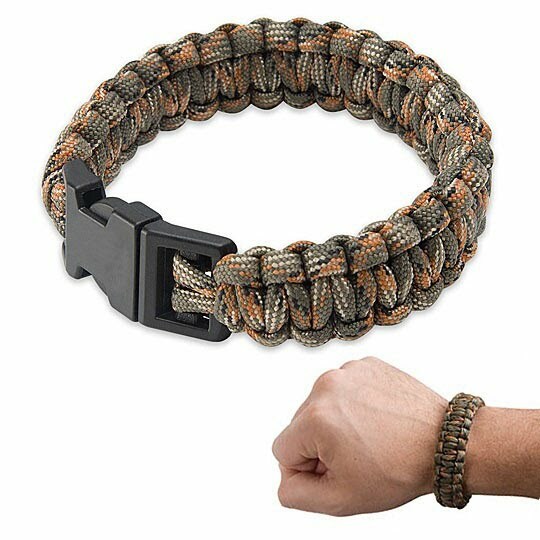 I make paracord survival bracelets and supply them to the museum to sell in their gift shop. It is therapeutic in a way and gives me a way to give back and support the museum. I have made so many I can now finish one in about 3 minutes while watching TV. One night I got a quick order from the museum for 20 bracelets and I did them in one night. The story of how I learned to make the bracelet goes all the way back to Boy Scout Troop 66, which met at Homes Street United Methodist Church. I know I am known for remembering things, but I know that after all these years I will leave out some names, but some of the ones I remember as being members of my troop were well known at Lee. These include, but are not limited to, Bob Ramsey, Jim Ramsey, Don Cornelius, Ronnie Hornbuckle, Johnny Carter, Bryan Towry, Bobby Joyce, Bobby Cochran, others. Our Scoutmaster was E.C. "Lucky" Sandlin - a man who played a major role in my life at the time. 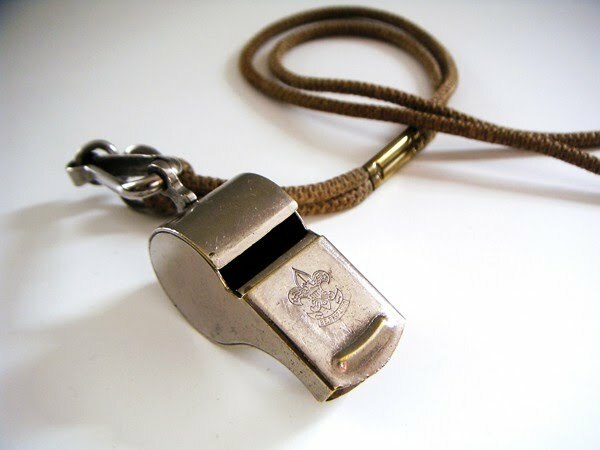 I had bought a Boy Scout whistle from the Boy Scout department which was located on the third or fourth floor of Dunnivant's Department Store and wanted to wear it on my uniform (even though there were no uniform regulations which authorized it.) I kept bugging Lucky to let me wear the whistle and one day he finally gave in and agreed - with one condition. I could only wear it if I made my own lanyard to wear it on. Back then the lanyards were made from a thing we called "gimp:. Its formal name is Gimp Plastic Craft Lace, but we just called it gimp. I bought the gimp and a book on how to weave it and over the next week learned how to weave it and completed the lanyard to which I attached my shinny new Scout whistle. I wore it for a few weeks and eventually the newness of the idea wore off and it made its way to the bottom of my sock drawer and there it remained. The one thing that lasted was the skill set I learned to make it. So today I still use the knowledge I gained as a 12-year-old and have put it to good use to help support the museum. It is strange how some things work out. But this story really started out on the subject of whistles. Within a few years after graduating from Lee, I had two jobs where I was required to wear lanyards with whistles, but I am not going to go into those details yet. What I would rather do is send out this challenge to you readers. Did any of you ever have jobs where you had to wear or use a whistle? Also, I would like to know if any of you readers were in Troop 66 with me and were not named in my list above? 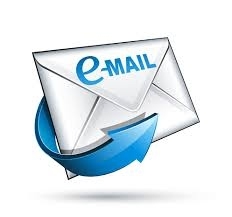 If so, please email me so I can include you in my list. TRIVIA QUESTION: "Can you name a Top 100 song in which a whistle was featured?" Memphis, TN - Current plans for me for the upcoming weekend include a trip to Huntsville on Saturday to attend the Rock and Roll Reunion. They have asked me to bring some of my books to sell but it has to be a short trip. Sue and I will probably get into town around 2pm and have to leave at 8pm. I have a doctor's appointment which means I cannot spend the whole weekend the way I like. If any of you don't have any better plans, check out the poster below and join us at the Elk's Club. Last week I featured the "Victory at Sea" TV series, and it reminded me of another Navy TV series I remembered from childhood. The Silent Service is an American syndicated anthology television series based on actual events in the submarine section of the United States Navy. The Silent Service was narrated by Rear Admiral Thomas M. Dykers, who retired from the Navy in 1949 after twenty-two years of service. He began each episode with this refrain: "Tonight, we bring you another thrilling episode of Silent Service stories, of warfare under the sea." Actors appearing on The Silent Service included Russell Johnson, cast three times in the role of the character "Beach". DeForest Kelley appeared in three episodes as Lieutenant Commander James Dempsey and Leonard Nimoy appeared in two episodes as Sonarman. Jerry Paris and Liam Sullivan each guest starred twice. Wright King played "Bony" in the 1957 episode "The Squallfish". Eric Morris appeared in nineteen episodes, identified only as "Soldier". Other guest stars included Joe Conley, Jack Lord, Chuck Connors, Lawrence Dobkin, Ron Hagerthy, Adam Kennedy, Robert Knapp, Paul Richards, Bing Russell, Craig Stevens, Dennis Weaver, and Stuart Whitman. Click on Either Poster to get a larger view. Every Sunday afternoon, my dad would hold me in his lap and we would watch this together. It is probably one my earliest memories as a child. 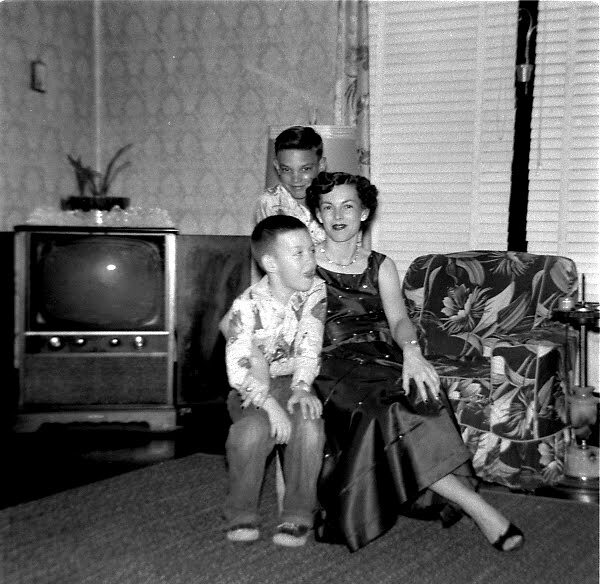 I would sit there, glued to the tube, while my dad would tell about me about his service in the U.S. Navy during the war. He wasn't detailing any of the bad things he may have seen or experienced. Instead, he would tell me fascinating tales of his adventures with his buddies during their service in the Philippines, late 1944-45. And, all my life I had heard about my mother's brother who had served aboard CVL23 USS Princeton, light aircraft carrier, as an F6F Hellcat Plane Captain. He was topside on the morning of 24 October 1944, launching & recovering aircraft, when the ship was attacked from the air. He had just turned 19 in July of that year. He watched a 500 lb bomb (the only bomb to hit the carrier) come down and penetrate the flight deck and explode 4 decks below. It was a fatal blow and the ship had to be scuttled late that afternoon. Fortunately, he survived the sinking. It was also the last major U.S. carrier to be sunk during the war. October 24 was the opening day of the Battle for Leyte Gulf, the largest naval engagement in history. The sinking is referenced in episode 19. I remember my mother telling me that the very first they heard about his ship being lost, was on a Saturday night at the local movie theater, when a newsreel came on with film and narration of the ship having been sunk in action. All they knew was that there had been a large sea battle, no details of any losses or sinkings. They would not know anything until December 1944, when my uncle was granted 30 days shore leave and he came home, all in one piece. I was 3 years old when Victory at Sea was first broadcast on TV, has remained as one of my all time favorite TV shows. During my early Naval Reserve experience our class work often included the Victory at Sea series. In toursrecent years I purchased the full set of DVDs. The content is still reflective of the challenges facing young sailors today, though some technology has changed. As to Vietnam service, which is usually referred to as Vietnam Era service, there were three of us directly in that theatre. I was the youngest and the first aboard the tin can USS Carpenter, DD825. My oldest was in the Army and served two tours, with a Bronze Star awarded for each tour. Reflecting many years later he said what bothered him was those wounded and killed around him. The middle one was assigned to a Marine contingent serving between the other's tours. Sherman and his sister also served in the Navy. Sherman's mother was made an honorary member of the Armed Forces. My daughters and I so appreciate your remembering Dennis Faber (father and husband) every Memorial Day. He died doing what he loved. It was just way too soon. I would also like to thank Mike Crowl, LHS '65, for his tribute to Pfc. Jeffery Jones. I served during that conflict but had the fortune to have not been engaged. I was in Naval Flight training as a Marine at NAS Meridian and had an automobile accident 1 October, 1969. With the injuries sustained, resulting treatment, and interruptions in training, by the time I was ready to go to war...it was over. I have often had feelings of remorse; having not served there basically ended the career for which I had planned but I may be alive today because of it...for that I am grateful. I remember watching Ramar of the Jungle also. I watched it every week.